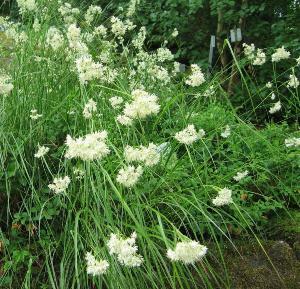 Bupleurum longifolium is found native from open woods and pastures of the mountains of Central Europe and is a fine and interesting, ornamental plant. A hardy perennial, it has long-stalked,spatula-shaped lower leaves and stem-clasping, heart-shaped upper leaves. In summer it bears long-stalked heads of flowers not dissimilar in arrangement to those of Astrantia to which it is related. 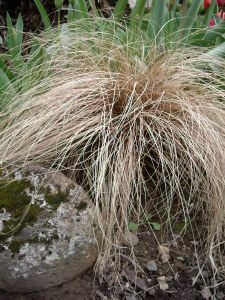 Carex testacea Prairie Fire is an evergreen perennial with a dense clump forming habit. 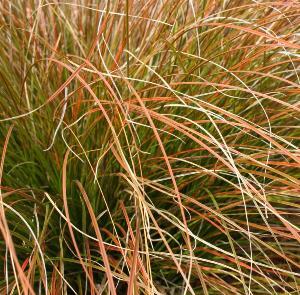 Narrow arching leaves of olive green turning orange red in Autumn. 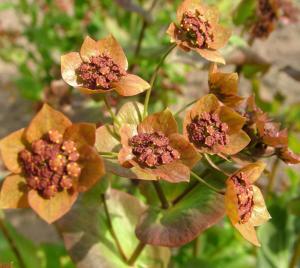 During Summer produces spikes of brown flowers flushed red. 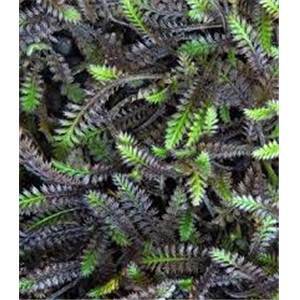 Grows in moist soils in sun or partial shade. 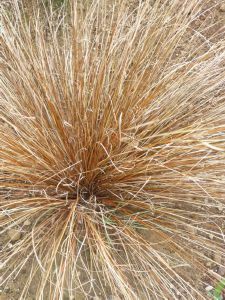 0.5m high with spread of 0.5m.